Home FitnessRunning Running: If You Run a Faster Half Marathon – Your Calorie Burn is More or Less? The other day I created a poll in Facebook with the following question: “If you run a faster Half Marathon… You consume more or less cal?”, with two possible answers “More calories” and “Less calories”. In a couple of days there were 108 votes and it could not be more even: 55 for “More” and 53 for “Less”, so I thought it would be good to explain this a bit longer, here in a blog rather than a simple post in Facebook. For those interested in just the answer, the next photo gives you the empirical evidence that the right answer is….. “LESS CALORIES !!!!!!”. The photo shows two different runs, ran by the same person, in the very same route, the same distance, at the same time/moment of the day in two consecutive days (weather almost same). The only difference was the speed, the one on the left was slower at a pace of 6:27 vs. 6:18 on the right. And…. The slower run required more Calories: 507 vs. 492. For more explanations, you can keep reading. I have done several comparisons of runs like these, and these are the standard findings, but the explanation is not that evident. This looks contradictory with the feeling we all have that “the faster I ran, the more energy I have to put in, and the more tired I get”, yes, this is true. The energy required depends on your body weight, the route (up, down or flat) and the speed, the faster you want to move the body the more energy you need. Up to here we all agree, it is if I ask you what is more expensive: gold or water? We all will say gold. Now, the point is that the “more speed more energy” is true, as long as you are running !! Meaning: every second, every minute you are running the energy is more, however…. If you run less time…. Then…. You will be saving energy !! Just think: what will consume more energy: 2 min of very fast running or 20 min of slow running? Going back to that example: we all agree that gold is more expensive than water, but…. 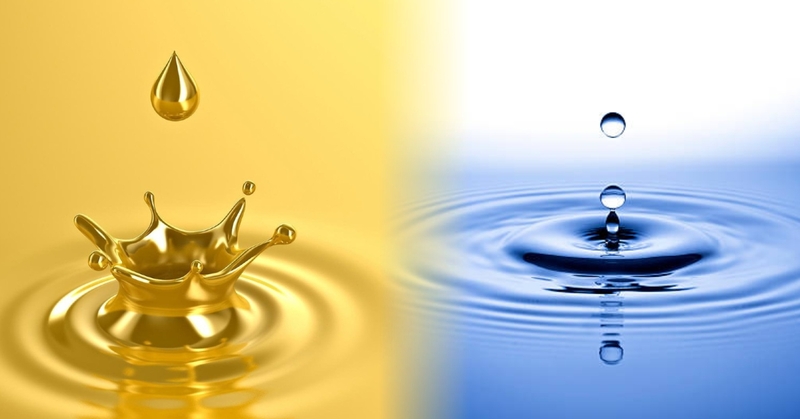 What is cheaper: 10 rupees of gold or 1,000 rupees of water? But this is not all. Up to here we have discussed what we can call the “Mechanical energy”, the energy required to move your body at a certain speed. This doesn’t depends on fats or carbohydrates, on heart rates and so on, it is pure physics. Other point is that when you are getting tired, your running technique goes down… and you may be less efficient and required more energy for the same speed, for example: if you move more your arms or your cadence increases, more movement means more energy even if the pace is the same. Perhaps you have reached this point without fully understand the issue… No problem, what you can take away is that a “by product” of running faster is that you don’t need to worry about food or supplements for distances like Half Marathon. As per my personal experience: I don’t need any food to run in less than 1:50, and I have done my PB of 1:35 without any food, only some electrolyte drink. But this comes with time. You need to build your capacity gradually, giving time to your body to handle the faster paces with certain easiness: so that you can keep a proper running technique and your body does not over heat. We can speak here about HR training… but that will be beyond this blog! !